So my love for Plated is real ya'll. The food is so excellent. Except one thing--my husband can't eat doesn't like Arugula. So every time it is offered I end up making something else to go with it. 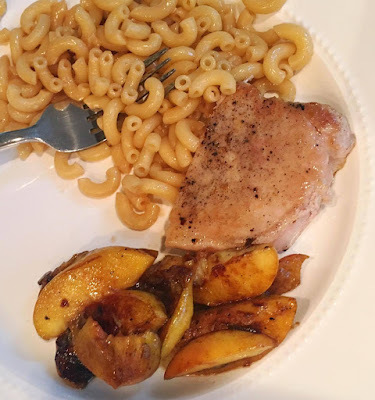 Well I won't lie, after my vacation last week I didn't really buy anything else that I could whip up in a jiffy to go as a side with Maple Pork and Peaches. I searched really quick for something with a splash of sweetness--and finally after much searching I found it! 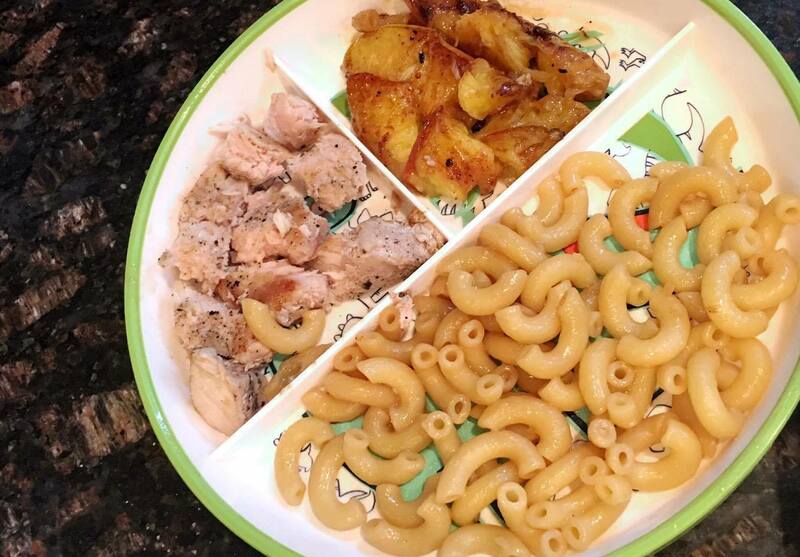 The simplest recipe in all of Pinterest land--I even made it again for lunch. I can now say this Baby Carson is craving them now. 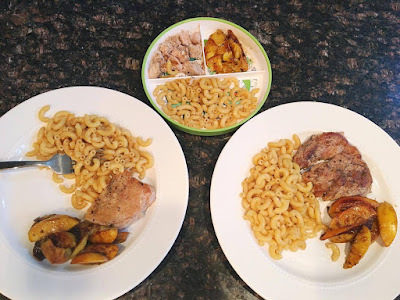 I used macaroni in this recipe as that was all I had on hand--but you could use any type of pasta. You could also add any type of protein or veggies to the noodles, I just had my meal already prepped and ready to eat. 1. Cook the pasta according to the box. 2. Whisk together the Soy Sauce, Brown Sugar, and Sesame Oil. 3. Melt butter over medium low heat, add garlic and green onions and saute for 2/3 minutes. 4. Pour butter mixture over noodles, stir to coat. 5. 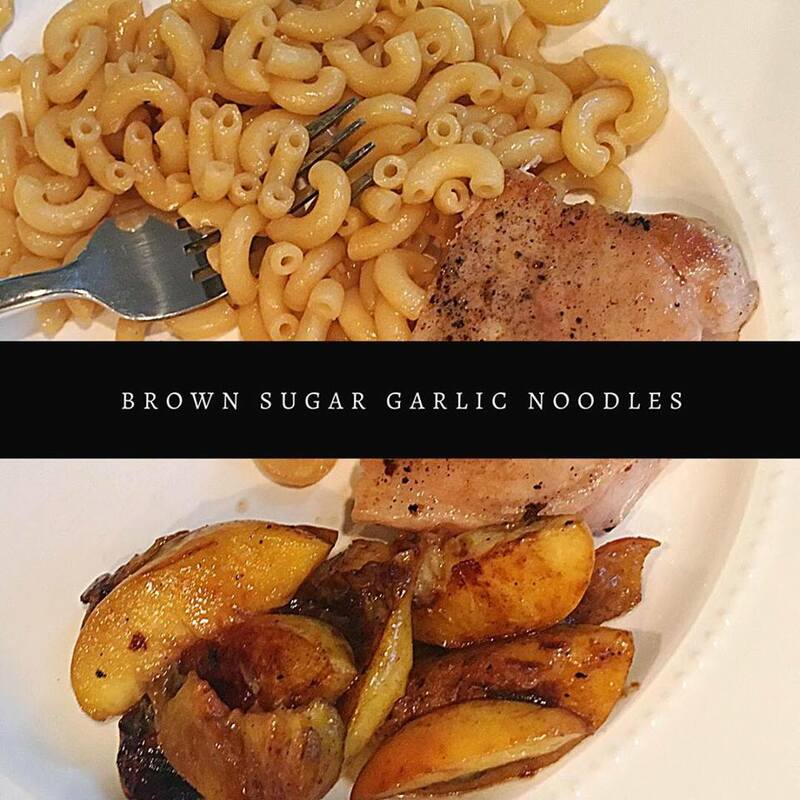 Pour brown sugar sauce over noodles. 6. Serve hot--even though I'm sure this would be great as an asian pasta salad!